Microsoft Vizact 2000, the newest Office family member, enables users to communicate in new, more effective ways. With Microsoft Vizact 2000, users can easily add the dynamic and engaging features of the Web to their documents without knowing how to write a line of code. Now the average Office user can add timing, animation, and interactivity to otherwise static HTML pages, helping them to improve communication and impress their audience. 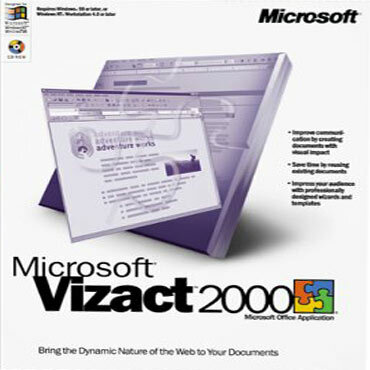 Microsoft Vizact 2000 frees users from having to understand the details of Web technology. The product gives end users who are not Web authors the ability to add timing, motion, and interactivity to HTML documents. With Vizact, users control when elements such as text, pictures, audio, and video appear and disappear within a document, their movement over time, and how they react to a reader's mouse. Vizact 2000 saves users time by allowing them to reuse existing documents. Simply save any document as HTML, open it in Vizact, and activate it. Users work in a familiar Office interface, so they don't have to relearn common tasks.